The virtual factory of electric elements for US electric car manufacturer Tesla built by Lithuanians shows that the Baltic state features talented specialists, and the name of Lithuania was put on the map after the US company noticed their work, says businessman Vladas Lašas. "The young and energetic team build the first virtual Gigafactory in the Vilnius Technology Park last weekend. (…) The majority of the new economic companies, such as Tesla and other Silicon Valley companies, and their staff have passed the stage of games. This shows that we can develop more than game initiatives, we also have people who could work in the factories in a few years and operate the sophisticated digital production," Lašas, one of the men behind the initiative to invite Tesla to build its new factory in Lithuania, told BNS. 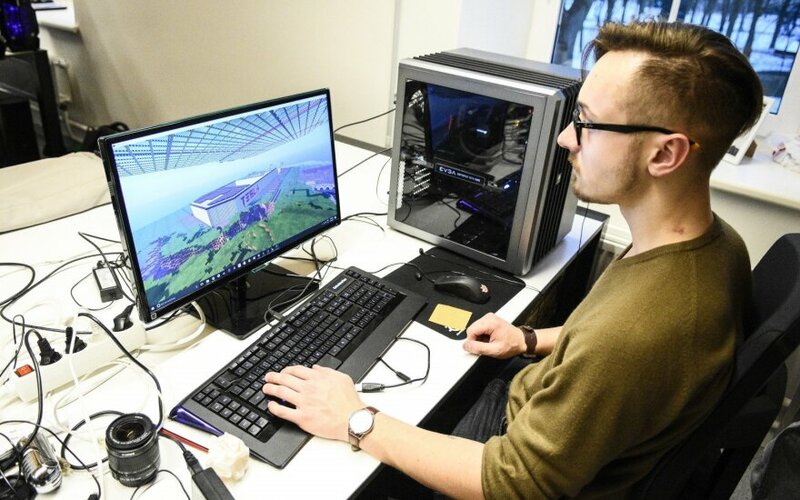 Lithuania's computer game community built virtual model of the Tesla electric element factory, which is still on the drawing board for Europe, in the Kruonis industrial park near Kaunas. After noticing the initiative, Tesla said on its Twitter feed on Saturday that "Lithuania knows the way to our heart." The project was the brainchild of 20 year old Darius Kniūkšta, who, as an avid fan of the inspirational innovations of Elon Musk, decided that it would be great to build a Gigafactory in Lithuania, (if only a virtual one for the time being). And under the hands of project leader Žilvinas Lešinskas and the 100,000 strong community of Lithuanian Gamers, the Gigafactory was brought to virtual life on the territory of the Kruonis Pumped Storage Plant, which was lovingly replicated in Minecraft. The group hand-picked Kruonis – situated near the second Lithuanian city of Kaunas- as it would also be the perfect site for an actual Gigafactory. As Kniūkšta explains, the motivation was not only one of fun: “I saw immediately that the subject of attracting Tesla Motors to Lithuania would be interesting to the young gamer community.” Indeed, the whole project was underpinned by a serious desire to attract Tesla to Lithuania. And the project has found support beyond the gamers. The current Prime Minister, Saulius Skvernelis, and Director of Invest Lithuania, Mantas Katinas, have both been vocal in their support. "I would say that such individual attention to an initiative by a small country means a lot, as the initiative was seen by the Tesla community and those around it. Even if nothing more is achieved, this is a major promotion of Lithuania's name in the context of future technologies," said Lasas. Tesla is currently building a 5 US dollar electric component gigafactory in the state of Nevada. Tesla's CEO Elon Musk has voiced an idea that the second factory of similar size should be built in Europe. Nevertheless, the company has not revealed any specific plans about the construction in Europe. The project, (as on February 4) which is hosted online by Twitch video, has attracted more than 13,000 unique users and 60,000 video clicks, and is projected to be viewed at least 1 million times in its first month.